Summer is the perfect time to get out and tackle those to-do’s that seem to have set up a permanent camping spot on your list -- but beware! As tempting as it is to plow through and get ‘er done, it’s important to protect yourself from rising temperatures. Heat-related illnesses can become serious fast. Listen to your body and take a break if you get a headache or feel dizzy. Go to a cool place and drink some water. Staying hydrated is especially important during the hot, summer months, so drink up before you head out and take frequent water breaks while you work. Steer clear of caffeinated and alcoholic beverages. Instead, opt for sports drinks or water to replenish your body. Wear sunscreen to prevent getting sunburned which increases your risk of becoming overheated. Work in the morning and/or evening, staying out of the sun during the hottest part of the day, from 10 to 4. Pace yourself to avoid overexertion. Make sure you have the right clothes and gear -- Action Supply Safety and Workwear Store can help with that! From wide-brimmed hats to cooling sweatbands and scarves to Carhartt work shorts and shirts and sun-block protective glasses, we have a wide variety of workwear and supplies to help you stay safe when summer’s dishing out dangerous heat. Never take on a job before considering the weather forecast and what you have in your closet to protect yourself from harm. Give Action Supply Safety and Workwear Store a call at 800-527-5548. Safety is in our name for a reason! We have what you need to work safely in all kinds of weather. 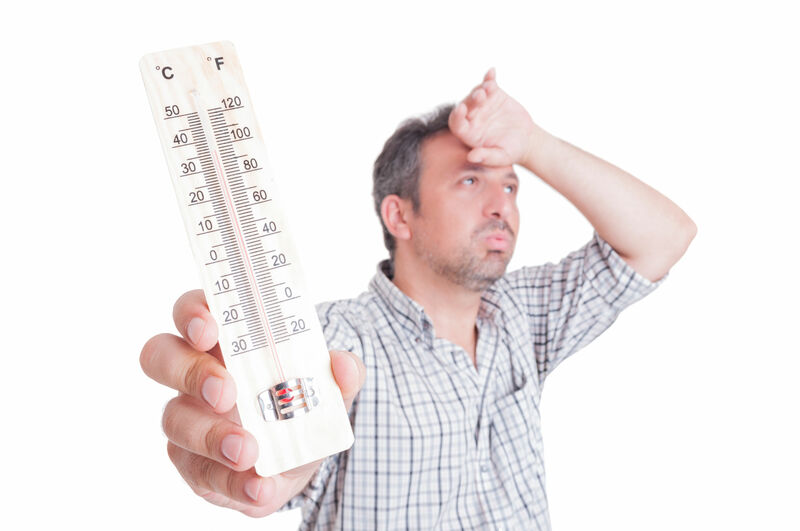 NOTE: If you notice any symptoms of heat-related illnesses such as excessive sweat or no sweat at all, clammy skin, nausea or vomiting, confusion, rapid pulse or difficulty breathing, seek medical attention as soon as possible. From all of us at Action, stay safe out there!